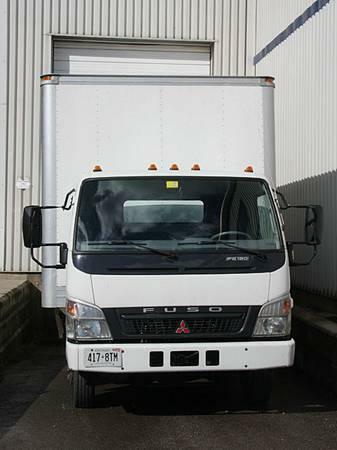 xxxx White Mitsubishi FUSO FE180 with 18 ft aluminum van body (A-xxxx box). Useful as commercial delivery/moving cube van since any G class license can drive this vehicle. Standard cab, roll up rear door with 14' slider ramp, automatic transmission, diesel engine, only one owner (purchased new in xxxx), recently safety & emissions tested - ready to work!